He wrote about politics, art, literature, and history. 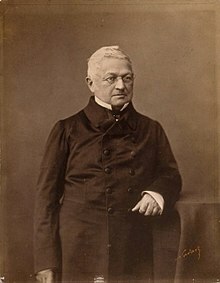 His literary reputation introduced him into the most influential literary and political salons in Paris. He met Stendhal, the Prussian geographer Alexander von Humboldt, the famed banker Jacques Laffitte, the author and historian Prosper Mérimée, the painter François G��rard; he was the first journalist to write a glowing review for a young new painter, Eugène Delacroix. When a revolution broke out in Spain in 1822, he traveled as far as the Pyrenees to write about it. He soon collected and published a volume of his articles, the first on the salon of 1822, the second on his trip to the Pyrenees. He was very well paid by Johann Friedrich Cotta, the part-proprietor of the Constitutionnel. Most important for his future career, he was introduced to Talleyrand, the former foreign minister of Napoleon, who became his political guide and mentor. Under the tutelage of Talleyrand, Thiers became an active member of the circle of opponents of the Bourbon regime, which included the financier Lafitte and the Marquis de Lafayette.